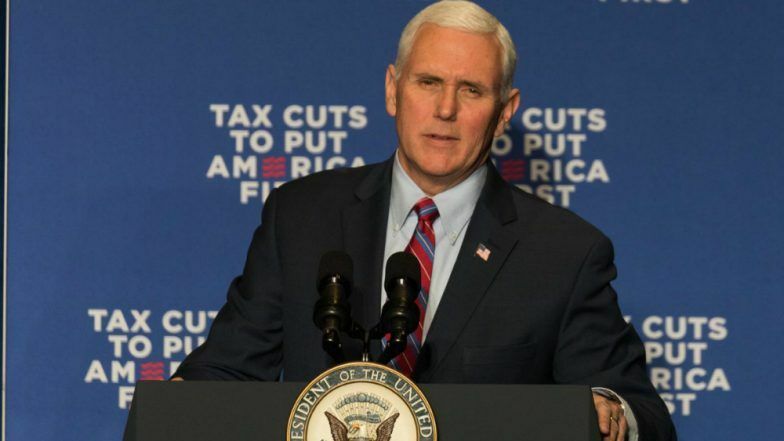 Washington, April 4: US Vice President Mike Pence warned Turkey against going ahead with its planned purchase of the Russian-made S-400 missile system, hours after the Turkish Foreign Minister said the acquisition was "a done deal". "We've also made it clear that we'll not stand idly by while NATO allies purchase weapons from our adversaries, weapons that threaten the very cohesion of this alliance," CNN quoted Pence as saying on Wednesday while addressing the "NATO Engages" summit here. Putin's Warning to U.S.: We Will Target You if You Deploy Missiles in Europe. "Turkey's purchase of a $2.5 billion S-400 anti-aircraft missile system from Russia poses great danger to NATO and to the strength of this alliance," he said, adding that Turkey could face consequences for its action. "Turkey must choose. Does it want to remain a critical partner of the most successful military alliance in the history of the world? Or does it want to risk the security of that partnership by making reckless decisions that undermine our alliance?" But speaking at the same event just hours earlier, Turkish Foreign Minister Mevlut Cavusoglu called Ankara's acquisition of the Russian system "a done deal". "S-400 deal is a done deal and we will not step back from this," he said. Cavusoglu added that US President Donald Trump had "promised that he will do his best to resolve this issue", warning that if the F-35 transfer is blocked it "it will have a definitely very negative impact on our bilateral relations which we do not prefer". In response to Pence's statement, his Turkish counterpart Fuat Oktay issued an ultimatum of his own, demanding the US end its support for Kurdish groups in Syria who have fought the Islamic State (IS) terror group, CNN reported. "The United States must choose. Does it want to remain Turkey's ally or risk our friendship by joining forces with terrorists to undermine its NATO ally's defence against its enemies?" Oktay said in a tweet on Wednesday.